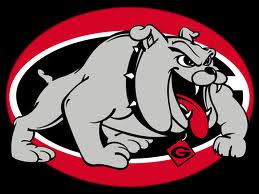 An Opinion On Sports: Georgia Bulldogs: Just How Good Can They Be? Just how good can this Georgia Bulldog football team become? If they were to play each week with the same intensity, effort and aggression that they showcased against Florida, how good could they really be? Could they achieve greatness? Could they become relevant in the national picture of elite teams? I understand it's tough to get up for every single opponent each week. There are just some games that you naturally peak for, while there are others that you catch yourself 'playing down to the competition'. But I would really like to see how good this team could be, or already is. It would be great to see the Bulldogs play the rest of this season's schedule "hell bent for leather". Take no prisoners, regardless of the caliber of the opponent. Play 60 minutes of complete football. That would be fantastic to see, would it not? I don't know the answer to all the questions I have proposed to you, but I would like to see the Dawgs, in the words of the U.S Army, "Be All You Can Be". How 'bout it guys, give it a try. Make Georgia Saturdays really 'Ford Tough'!